With Electric Castle returning for its fourth edition of the festival, Getintothis’ Ryan Craig looks ahead to what is going to be a magical event. As Europe’s electronic festival scene continues to blossom, more and more music lovers are travelling far and wide in search of good music in a unique place. Romania’s Electric Castle Festival is just one of the continent’s new generation of festivals that offer something fresh, fun and a little more intimate. Creatively combining historical architecture with modern visual effects, the festival is different to any other and has been tipped as one of the most exciting festival locations in Europe. 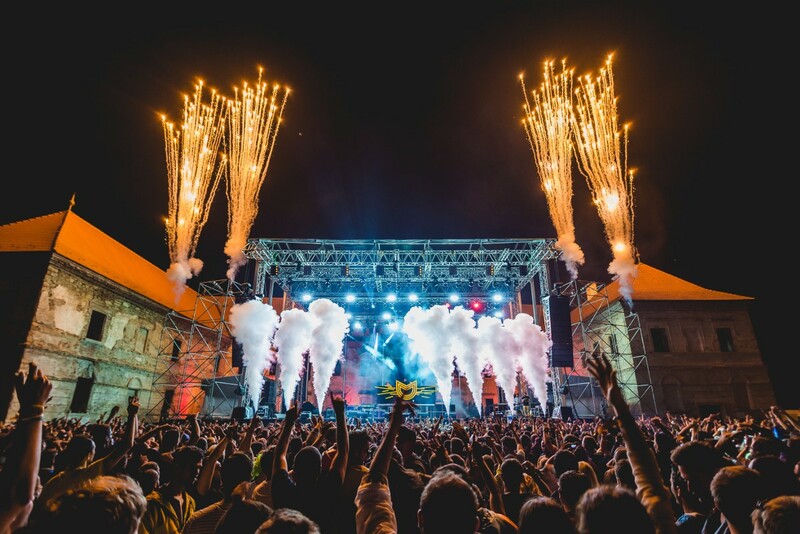 Now into its fourth year, Electric Castle once again opens its doors on July 14 to show off not only a host of dance-worthy, feel good music, but also its main centrepiece, the fairy-tale-like Banffy Castle. During the communist era the castle was neglected and it was used as a driving school, co-operative farm and a hospital for children. It was even set on fire for a filming shoot. Now it is under a process of restoration and rehabilitation, the festival is supporting the restoration process by donating an amount of the money earned from the tickets sale. Headlining this year is the cult Icelandic band Sigur Rós, who are on tour for the first time in a number of years and have chosen Electric Castle as one of their current tour stop-offs. 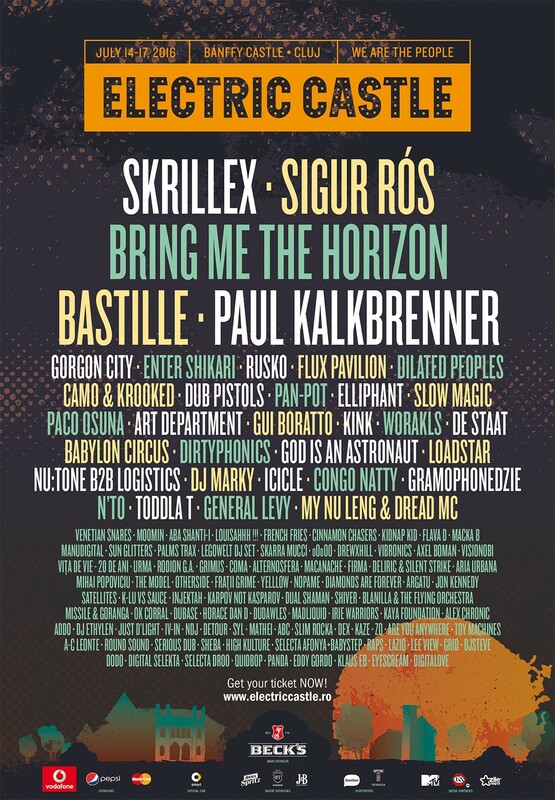 Elsewhere, on day three, 8-time Grammy winner Skrillex will bring his genre-transcending tracks to the main stage. Bastille will also make an appearance playing tracks from their new album, including Good Grief and Wild World. Romania’s own home grown band Toy Machines will be the one to look out for, playing their garage-rock at the Boiler Stage. Bring Me The Horizon, Gorgon City, Enter Shikari, Rusko, Flux Pavilion, Pan-Pot, Camo & Krooked will all be making appearances over the four days, and although the name doesn’t give any clues, Electric Castle also offers dashes of reggae, dub and progressive rock for those who fancy it. Have a look at our 2016 summer festival guide! Reinstalling your faith in summer festivals, Electric Castle is set to have sun all around, (sorry, Glastonbury goers!) not bad for being located in the biggest castle in spooky Transylvania eh? Since its inception in 2013, it has been shortlisted every year for the Best Medium Sized Festival at the European Festival Awards with organisers promising “a unique, mind-blowing experience that shakes up the way people interact with music by combining a visually innovative concept with an eclectic musical line-up”. More than 30 vendors make up this year’s food court; from vegan to burgers, from ethnic food to sweet delights, you really are spoilt for choice.